Whether a child is presenting with social skill delays, has a complex diagnosis or is simply being defiant, Wheels of Wellness understands the challenges parents and teachers face when a child is struggling socially or behaviorally. It is our mission to provide mobile consultation in the environment where parents and teachers feel they need the most support. To get started, we will meet with you to gather information, answer questions about the therapeutic process and share your goals for therapy. During an initial session we will discuss whether Wheels of Wellness is a good fit for you and may look at other services that could be beneficial to you and your child. 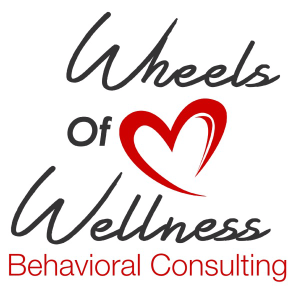 Wheels of Wellness will spend time observing the child in the environments of concern prior to discussing treatment recommendations. Is your child experiencing behavioral issues at school? Behavioral Assessments assist parents and educators with a better understanding of why behaviors are occurring. Behavioral Consultations provide the tools and strategies necessary to better address problematic behaviors in the school, home or community settings. Read More about Behavioral Assessment and Consultation. Is your child having difficulty making and keeping friends? Social Skills Training uses a trainer to facilitate pro-social behaviors in naturally occurring social environments such as school and during play dates. Read More about Social Skills Training. Are you looking for a support staff to come to school to shadow your child a few hours per week to help support his or her goals? Is your child pre-kindergarten age and needing additional pre-academic and social or emotional support prior to kindergarten entry? Support services offer a unique opportunity to push into the child’s classroom environment to support and consult with teachers to achieve goals for your child. Early Intervention support can assist your child with preparing for the pre-academic and social and emotional expectations of kindergarten. Read More about Support Services.